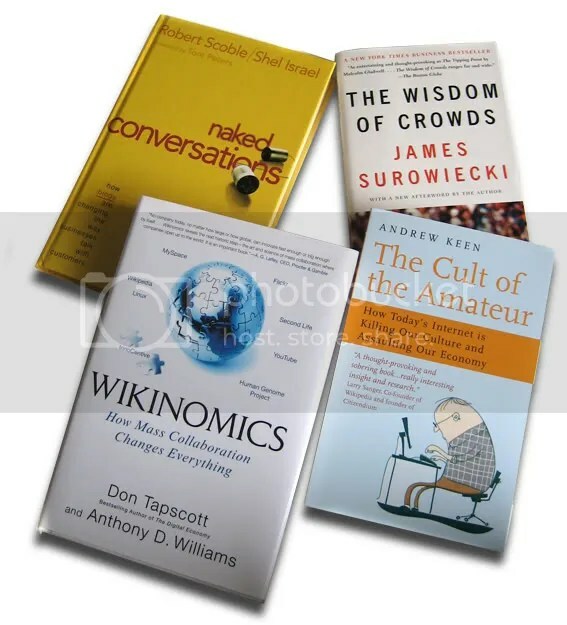 There are a couple of good (some new and some not so new) books that a few friends like Kevin , Bjorn and Bernard recommended on new/ social media, cultural and economic shifts etc. A few friends have agreed that since we are all reading the same few books, we should buy different ones and exchange with one another. Do feel free to drop me a note if you want to do any exchange. This entry was posted in Bookish Stuff by Priscilla Tan. Bookmark the permalink. Do you have Chris Anderson’s The Long Tail? It’s also related to these books. Buzz me if you come across any other interesting books. these are the best time pass for me . i read books . gain the knowledge and thus my time is passed .